This interactive online pilot training course is designed as a Systems Knowledge CBT for both Initial and Recurrent Training for Airbus 330 Aircraft. 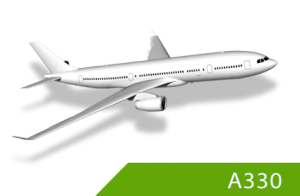 This online aviation course can also be custom made for your airline with A340 differences. This CBT provides complete systems training by use of text, audio, graphical animations, and level 3 interactive training, providing the highest level of learning. Each module has its own knowledge assessment for evaluating the understanding of the lesson. Click here to learn more about our other Airbus training courses and assorted CBT aviation classes. This online aviation course is available in both the GE and Rolls Royce engines. This Airbus Training Course is delivered on the CPaT Mobile Application using our Play Ready Technology (PRT) and can be operated on PC, iOS, iPad, iPhone, Mac, and Android computers, tablets and devices. This course can be used both On-Line and Off-Line and will synchronize when connectivity is re-established. This online pilot training program is designed with a study time of 32 Hours. This run time can be customized to meet your airline’s training footprint hours.